00:30 – Who is Tom Galeski and what his company is all about? 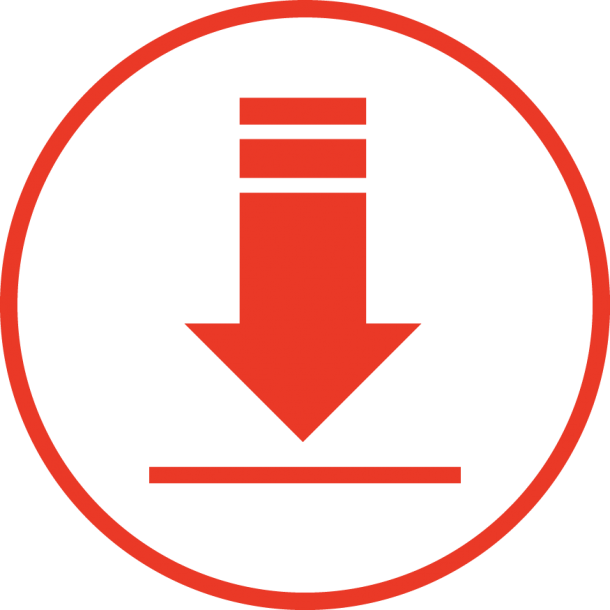 03:42 – What type of marketing did Tom do before going digital? 05:00 – How Tom and his company started their content marketing efforts? 24:10 – Where to push your video contents out? Liza: Hi, this is Liza Choa, founder of Content Maximiser. Today, we’re interviewing Tom Galeski, Business Development Manager of Partner IT. Partner IT is located in both Sydney and Wollongong and they provide IT support to clients all around Australia and internationally. Being in business for over nine years they started implementing a digital marketing strategy just over a year ago. Over this time, they found that the authority has increased in the eyes of their prospects but more importantly, they get in more qualified enquiries online and the clients are buying more, based on the content that they’re creating. So, now, let’s jump straight into this interview as Tom shares his journey on content marketing. Liza: Good morning. Thanks for being on the podcast. Tom: That’s fine, my absolute pleasure. Liza: I am very excited about this podcast. Liza: Yes, because you actually applied what we talked about in Content Maximiser and I see that you are doing it in your business. So this makes it a really good B2B content marketing case study, thats why I’m really excited to get you to share the audience what you’re doing. Tom: Yes, I’m happy to. Liza: Maybe we can start with you telling us more about your business. What type of business do you have and how long have you had it for, etc. Tom: Okay. Well, the business is called Partner IT. It’s been around for coming on nine years now. Tom: We have fourteen staff. Essentially, we’re an IT company. Now, my elevated pitch is when you come to work in the morning and you turn on the computer and it doesn’t turn, it’s our job to make sure that it does work. So we do everything from servers and networking and infrastructure and then obviously, the support that goes along to the backend of that. So, realistically, we’re called a traditional brick and mortar business and we do IT stuff. Liza: Nice. So would your clients be like all around Australia or they local in New South Wales? What is the spread of your clients? Tom: Okay. Well, we are based in New South Wales so down here in Wollongong we’re part of the Illawarra, so this is where our main focus is. Tom: But what we find, we’ve got clients all around Australia. We’ve got clients in Tasmania, New Zealand. We also have a couple that we do some offshore stuff with. So, we‘ve got a few clients from South America. We’ve done stuff for clients in Fiji, but the majority is pretty close to home in Sydney. Liza: Wow, okay, cool. Well, I guess when it comes to IT , you can support clients that is beyond local because now you can just hook up everything or most things over the internet, isn’t it? Tom: That’s right, absolutely. Technology has come such a long way and internet is slowly catching up in Australia, getting faster and we are not going to talk about NBN, but internet’s getting better with the 4G network and the support. What we also do find is a lot of the customers that we target had more than one office. So, they might have an head office in Sydney but have a satellites in Western Australia and things like that. So, we can support all that with a couple clicks of a mouse, really. What Kind of Marketing Did You Do Prior to Going Digital? Liza: Oh, Awesome. So, tell us you’ve been in business for nine years. So, what type of marketing did you do before going digital? Tom: All right. Well, not much at all. Actually we have to be honest we did try back in the day what we call the shotgun approach where we just, we tried anything from local paper to local directories to the local business chamber. We tried sponsoring golf events and really, it just got no traction. So, our growth was really relied on organic growth. It’s worked for us for the last eight, nine years. Tom: But this year was the year for us to really step up and really focus on the marketing. I started doing the marketing last year, I’m not really a marketer but I enjoyed doing it. So, I think because I am passionate about it, it comes out in what we do and it’s been fun as well. What Was the First Thing You Did when You First Dived into Digital Marketing? Liza: Sure. So, tell me more about the online side of marketing. How you said you started doing it last year, tell me more about that. Tom: Well, the first thing that we did, probably one of our biggest mistake and small businesses share is, we need to revamp the website. It was a little bit stale, a was a few years old. It didn’t talk too much about where the industry was headed with regards to IT and stuff. So, the first we thing we did was rebuild the website. Tom: That’s great, but then, where to from there? We started what you would class as content marketing. So, the first thing that we did was we started producing, I started producing videos, I tried to do them weekly at a bare minimum. I call it information marketing, so it was talking about what’s new in our industry, maybe what’s the newest gadgets around. We talk a little bit about what things to look out for, if there is any vulnerabilities or any security threats that our customers needed to be aware of. We just did it like a broadcast, so I’d shoot the video, I edit it and would shoot to it back to our listeners to say, “Hey guys, just so you know, this is what happened in Twitter this week,” or, “250,000 account got hacked or whatever it might be, make sure you change your password”, whatever the contents is for that, or, “there is a new virus outbreak”. Because our customers are business, we don’t do any consumer work. So it’s a business to business message. We want to make sure that our customers are aware of, hey, there’s a big outage in the area for this reason, or make sure you’re aware of this type of spam email that’s coming through at the moment, etc. Liza: Great! I’m going to put you on hold on the content marketing for a minute because I think a lot of businesses would relate to what you talk about in terms of revamping the websites, because a lot of business have a website that they’ve got like a pretty brochure type of website might not generate a lot of leads. So, can you maybe share with us what was missing from your old site and what are the changes in the new changes that you have implemented in your new site? Tom: For a couple of our keyword terms and I honestly, we have done no Google Adwords or any marketing to even try to escalate that. Tom: It was simply just by moving to a WordPress platform, by putting in some of the conversational key terms on some of the site and pages and it’s not a big site, it’s only half a dozen pages. Tom: We try to keep it short simple and literally within, I’d say, within the first four weeks, I just did a search for key terms. I’m not talking about our business name, Partner IT. Tom: It was things like, you know, IT support in a local area in a couple of the geographical locations and all of a sudden, we’re in the top between one and fourth positions. Liza: Or enquires coming through. What was Your Process in Content Marketing? Liza: Yes. So that’s awesome. So, okay, so once you have moved the site it doesn’t stop there. Where do you go from there, so you started going down the content marketing road. So, why did you do videos, because a lot of people, you notice, there’s blog, they type. What made you decide to go down the video path? Tom: Well, for me it wasn’t just necessarily about the videos, it was about how could they leverage from the videos. I’m not like, let’s get in front of the camera, I’m not really like that. I literally wake up one day and went, you know what, I’ve got to do this. So, I set up my digital camera, I shot some videos. The whole idea of me doing this so I could re-purpose it. So, the way that business customers consume information can be one of three things, whether it’s video, whether it’s audio or they like to read it, so the goal for me was to shoot the video, which takes care of the people who like to watch. Strip out the audio, which in theory can become a podcast. That was one of the things that I was going to market at one point. So, the audio is for those people who want to listen and then, get that transcribed to a PDF so people that did want to write down or read that content, they could. So, that spin off from all that is that now we’ve got three different targets. We’ve got video, audio and paper and then obviously with Google being Google, having that on our website does help us for search engine rankings and keywords and terms because the text inside that PDF does get indexed by Google. Liza: So, let me ask you, I totally understand, what you’re talking about here and we practise the same here at Content Maximiser. How did you plan what content to create for your ongoing content creation? Tom: Great question. I made it all up! I’m joking, I’m joking. So, there was, I always try to put a structure around it, so I wanted to basically break it up into categories of things like how to, so basically for us, was actually talking to my customers. So, one of the really cool things that I can do is, I literally walk into my help desk environment, which is a couple of rooms away from us. I said, okay, boys, girls what’s new this week? What do we need to know about what’s happening? And they said, we have a lot of this particular fault this week. So, I’ll give you a quick example. One of the areas that we found one week was that people computers just decided to die, for whatever reason. It was just one of those things that week. Tom: Now, in small business, they have a server, they have a back-up strategy, and that’s all cool. Tom: But what we can’t prevent are people storing things on their desktop, on their local computers. So, I shot a video about that. I asked when was the last time you saved everything to your server and if you have stuff that’s running on your local computer, what’s your back-up strategy for that? So, we have a product, in theory, as a soft sell but we have a product that can do that for them because it’s your critical machine. So, I just basically talk to them. Or if there’s a new virus outbreak, I can go and do that. So, being in the world that we are now with so much noise, I call it noise out there, we’re going through the latest IT information and small business websites, and the whole idea of us shooting a small video and we try to keep it under three minutes is to cut that noise out and just break it down to what’s important for our customers, which are business customers. Liza: Yes, and what I love about what you just shared, is, you provided, an educational piece of content, but then, from that content, you provide a solution, which, like you put in inverted comma “a soft sell” by this is what business is, but you provided the education and then you provide a solution. So, when people listen to that video or audio, and they go, “Hey, this is relevant to me, then natural next step for them would be to look for a solution. So, you include it as part of that video or the content, you actually provide a solution, “Hey, at Partner IT, we do this. If you want us to help you, just give us a call.” I think that is brilliant, you’re really helping your clients to save time. Tom: Agreed. One of my goals, with all this is to try and create a pull marketing campaign. Rather than me cold calling or pushing to customers, I want them to come to us. I know that sounds lazy but I think that’s the key in this day and age. So, there’s a mixture of how to do stuff. We have introduced industry news updates. We do product reviews, we do application reviews, so that’s specifically just to run on the website, building up a list of these businesses and not all of them are customers. We have people on our mailing list, some of them are even our suppliers and distributors, who wants to know what’s going at the ground, front line. I think that’s really, really cool. Liza: Yes. Well, I think, what you just talk about here is what most businesses dream of, is rather than the push marketing, going out there pushing things to people, is to pull them in. So, having the right content, the right information for them to come to you, I’m sure every business want that and it sounds like for what you’re doing with content marketing, is achieving exactly that. Tom: Well, we’re hearing it all over and over again that people do business with people not with businesses and I do business with websites. They do business with the people that run those websites, so it’s really important to engage the audience through whatever medium possible. Now, if it’s video, we’ve had a few clients come across my desk the last few weeks, saying, “I went on your website and saw your video about…. So, I know you are someone who I can trust, so if we can get people to know who we are, like what we do, build up a bit of a trust, it gives us an advantage over the next client who’s knocking on the door who is $10 an hour cheaper. Liza: I said, yes and she goes, “Oh, wow.” By the way, the connection is there, you have kind of build a relationship with you without you being there, which is great. Tom: It’s different than another piece of paper when you go to a conference or a seminar or whatever it might be. It’s that point of difference and that’s again, having a unique selling proposition and making you stand out in the crowd why I started down this path. Because you know what, none of my competition are doing it. Liza: Yes, because the reality is, to do content marketing, it does require planning, it requires time and a lot of business have this mindset that they’re too busy for it but when they realise the power this has, then it’s definitely something you want to put time aside and invest time and energy towards that. Tom: I’m glad you brought that point up Liza because this is a big problem with small business. We’re so busy, and I put myself in that camp, doing what we do best. It doesn’t mean, not only time but how do I get in front of a camera? How do I record this? How do I put it up to YouTube? How do I upload it to a website? There are so many areas that it just makes the barrier to entry too hard and this is the where you guys step in and this is what you do as a business. You can help people with the content and help with the production and help with the uploading and all that technical stuff. To me, as an IT geek, I can just do what I do best, which is do the computers, the proposals or whatever I need to or see customers. I also say that’s where your business is, the Content Maximiser, this is what you do. What were Your Top 3 Objectives You Want to Achieve Through Multimedia Content Marketing? Liza: Yes, thanks Tom. And it’s true, in one of the feedback, actually one of the most frequent feedback that we get from our clients is how easy it is and when you know what you’re doing, when you’ve got the system and the structure in place, then it can be relatively simple. It doesn’t have to be hard but the payoff is definitely there. So, now I’m going to ask you, and I’m sure you’ve touched on this already, so in terms of the objective that you had when you decided to go down the content marketing path, what were the top three objectives for you? Tom: Top three, wow. Well, first of all I wanted to get on YouTube so my kids would think I’m famous, so I’ve achieved that! Look, now the biggest thing was just to, I just wanted to start. One thing is for business owners and me being male, is we procrastinate, and you think and you over analyse. So really, I wanted to establish some authority. That’s probably the biggest thing, so if people come our website or get hold of my business card or get a referral from someone, they can know who we are, so it’s that know like and trust facility that I wanted to try and make it really simple. Tom: And secondly was to try and establish a pull marketing. So one thing we sort of or we haven’t even touched on yet, but the whole idea of me building the content and giving away that information that’s obviously all free, is to start building up our list where we can broadcast that out to people whether its update or what’s new. Now, what we started doing last year was we invited everybody on our list to a webinar. Tom: I call that pull, I call it soft sell, I’m not sure how you want to classify it but there was no pitching involved, it worked so, so well for us, it was excellent. Liza: Yes, webinar is great because video like you would, like I would recommend my clients to do videos under 3 minutes. Liza: Because people whose attention’s span are very short, however, when someone goes to a webinar they’ve actually scheduled time for it so therefore you can provide a lot more value, a lot more content because you can do half an hour webinar, one hour webinar because it’s something that people have planned already so you can definitely provide a lot more value and like you said, after the webinar it created a lot of business for you guys. Liza: Because you provided so much value. Tom: Yes and it was unintentional. It really was, we had no idea. We were just talking about some new types of tablet computers and I think we sold seven or eight units. Tom: That was worth $3,000 a hit. Again there was no prices published, we just went ‘hey this is the model, this is the brand we gave away all the intellectual property on the internet and literally, after the call, people were saying it was cool. We were so engaged with our audience, we allocated 45 minutes. We thought we’d do 30 minutes of talking, another 15 minutes of Q and A. We went for almost an hour and a half. Liza: Oh my gosh, so they must have loved it. Tom: They absolutely loved it. The only time we had, we had two people drop off at the end the call because they had to go to a next appointment. The people were engaged, 98 percent of the audience were engaged all the way through to the full hour and a half or hour and twenty seven minutes, whatever it was. Liza: You know, when you think about it, I came from a corporate sales background. I came with a large software company and looking back, all the presentation that I did with clients, I’m there and with my presales guys and we talk about the software or the solution and you take them through it and there’s no difference to having that done through a webinar or video and is recorded and once it is recorded, it can be used over and over and over again. So, that can save so much time in the sales process when you’re sharing information on your product or your service to your prospects. Tom: I couldn’t agree with more. We decided to build up a bit of a library of videos. Tom: And hand on heart have been really slack of late especially this year. I’m trying to get more content up, I’ve actually got four or five that have been recorded but I haven’t produced to upload yet being that I got caught up in the doing rather than working on the business. Yes, we have a video library, and I’ve had a few times where people ask the questions, and i thought ‘Oh hold on, I’ve got a video on that’ and we just simply send them a link to that video on our website. Tom: I even started introducing a help desk guy, is like the common thing about how to make maybe make a change on your signature in your email or how to add a favourite or something really that we would classified as simple but for any user that doesn’t know how to do that, we can shoot a video, put it into a library and just send them a link to it. Liza: Yes, and it definitely saves time for your help desk guys as well. Tom: Absolutely, again you are not re-inventing the wheel, so if you, they get the common element over and over. Why would you not shoot a little Jing video or something that’s free, you can do up to five minutes. You can do it on your desk top, making into a little video and just go. What are Some Common Mistakes You See Businesses Make in the Digital Space? Liza: Nice, so now Tom I want to ask you, you’ve to dealt with many businesses right? So, what are the common mistakes that you see businesses make when it comes to the digital space? Tom: I think that misconception of we’ve got a website, if we build it people will come. I think that’s a really big misconception. So, having just a website is one thing but it’s all the rest of the stuff that goes around it. So SEO, article marketing, whether its video or whatever it may be. If you don’t drive traffic to it, how are they going to do it? I think the message or, it’s a very broad question that I’m just trying to understand with your listeners and audience. I think the biggest thing is businesses with no website, or they just don’t do anything with it or they’ve got a website and it was built in 1922. Liza: It comes in black and white. Tom: You see those websites where it’s got the copy write and its 2003. Tom: Technology, the web, it’s so interactive. It just evolves so much in the last ten years. Tom: I suppose the second thing is not going where your audience is. Now, we do business to business, so yes, we have a Facebook profile but that’s not where our audience is. Our audience is on LinkedIn, not so much in Australia but Twitter is the probably the second there because it’s more of a business corporate thing I would say, but there’s no point in spending hours and hours a day on Facebook when your audience is not on Facebook. Liza: Yes, spot on and we see that very common as well like when a client has a website and they go ‘the phone’s not ringing’ or you need to drive traffic to it and you need to put valuable information to engage your prospects, otherwise if we take your logo out and put someone else’s logo on it, there is no difference, so you really need to differentiate yourself from your competitor, and how you do it is through information, your personality or your business’s personality. At the end of the day even though it’s B to B, it’s still people to people. Tom: Exactly, that’s where the emotional journey comes to fruition, that if you want people to call you why is your phone number not on the home page of your website? Tom: That’s right and you’re going to scroll through some Google map that’s all that doesn’t work with the broken link and that’s just it’s not right. If your goal of your website is to get the phone to ring then put the phone number on the home page, top right hand corner is key hot spot, that’s where the people read from left to right, the hot spot of your computer screening is the top right hand corner and that’s exactly where your phone number should be in big, bold lettering. Liza: Exactly. Hey I want to ask you, you touch on this just in, with the videos that you create, once you’ve created them where do you push them out? Tom: So, at the moment on leveraging YouTube. We have a YouTube channel. One, it’s free, which is cool. It’s very, very easy to upload, it’s very easy to link inside the WordPress site, and then obviously the added benefits, all the analytics and the statistics that come out of Google that tell you who’s watched it and how many times they’ve seen it etc. Tom: And it’s compatible with everything. If you were on a mobile device and I was going to talk about mobile as well because it’s another big thing. Tom: With web and presence because that’s different to having a website but, it’s just compatible. So, if they’re on an iPad, if they’re on an Android device, if they’re on a PC or a Mac they can still access that content. Liza: So, your main place where you push it out is through YouTube? Liza: As well as on your website? Tom: Yes, so I’ve got the video on YouTube, uploaded to YouTube, then embed that video onto my website so it’s an added benefit there is, besides the compatibility I just talked about, is that it’s using all of YouTube’s bandwidth. So instead of using my hosting package in our services so I don’t have to have the best hosting on the planet to still facilitate a video on the website. For Businesses that Want to Start on Content Marketing, What is Your Recommendation? Liza: Fantastic, cool. So I’m going wrap up with the last question. So, knowing what you know and experience, if a business want to go down the digital and the content marketing path, what recommendation or suggestion would you give them? Tom: Just start. I think the barrier to entry where everyone is so scared and that doesn’t have to be video. I chose video because I don’t know, why not. I think the biggest thing is don’t try and do it yourself. I mean, I come from an IT background and, as you know, there’s some a bit of a geek at heart and I love playing with technology but my wife is a hairdresser. Just because she’s a hairdresser and knows how to cut hair doesn’t mean she knows how to do content and video. Again, this is where I give you plug but that’s where your business comes to play is that the barrier to entry is to call people like yourself that can sit down or do a Skype call with those people from anywhere in the planet and talk about what their goals are in their business and outsource it. The amount of time and money you spend, dare I say waste, trying to learn how to set up a camera or how to write a good copy content, how to upload that, how to build a website, you’ll save that 50,000 times over by outsourcing the professional in the industry. Liza: Thank you so much Tom, really appreciate your time, you’ve shared a lot of golden nuggets. Liza: Yes and it’s really good to see that you’re applying it to your business and how other businesses can definitely benefit from content marketing as well. So Tom, thank you so much for your time, really appreciate it. Tom: My absolute pleasure Liza. Liza: Okay, talk to you soon, bye. Liza: Well, I hope you enjoyed this interview with Tom from Partner IT and send a few action items that can be applied to your business. If you want to learn more about what they do, simply go to partnerit.com.au. By the way, if you find this interview useful, I would love a review on iTunes from you. 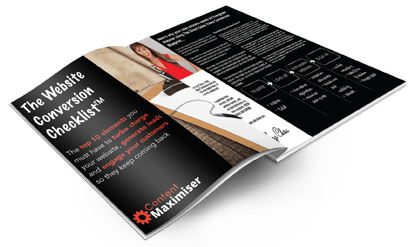 Finally, if you want to start doing content marketing for your business go to contentmaximizer.com and fill in the enquiry form and we can have a chat on how we can help you get the most out of this digital space. See you at the next episode.